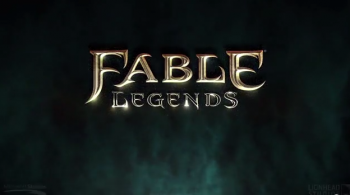 A new report indicates that there may be hope for the cancelled Fable Legends after all. "We aren't sharing additional details beyond that we have ceased development on Fable Legends, and are in discussions with employees at Lionhead about our proposed closure of the studio as well." Original Story: Last month, Microsoft announced that it was "in discussions" to close Fable developer Lionhead Studios and, further, that development on Fable Legends was cancelled. Shortly after, it was announced that the game's closed beta would remain open through April 13. However, MCV is now reporting that there may be hope yet for the game. According to the report, three sources from the studio stated that, while the majority of freelancers who were working on the game have already departed, the remaining contracted employees are being surveyed as to whether they would like to either continue work on the game or accept a severance and leave at the end of April. The report also states that several Lionhead employees proposed continuing development on Fable Legends as an independent studio, although other sources were unable to corroborate this claim. We have reached out to Microsoft and will update this story should we receive a response. Yeah cause going in and out of a development hell works out so often. Even if it comes out, it will be marred by all this. Given that all Fable games get hyped to high heaven, only for the game to be average - good at best, do we really care anymore? Honestly I think the best Fable game was Kingdoms of Amalur. It felt like Fable, but the combat was smooth, and magic didn't completely break the game. Just being powerful broke it, like it should work for RPGs.